The clients had a gate dating from the 20's in the adjacent wall of the porch to their home. This archway needed to match exactly. 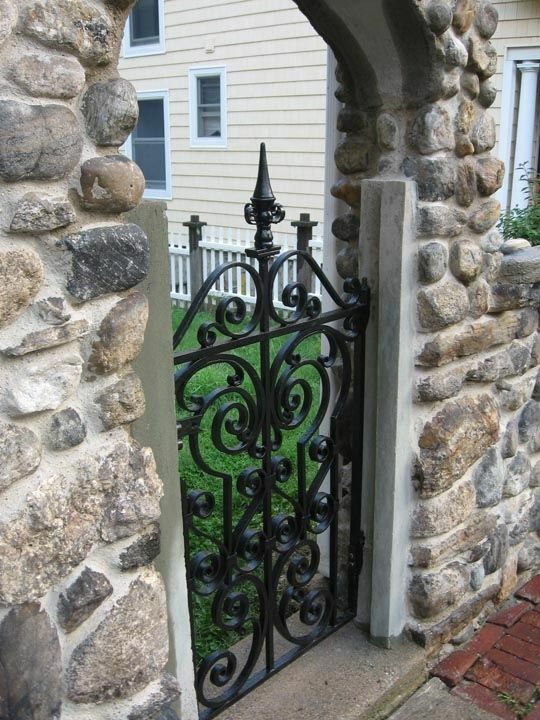 After taking many measurements, the heavy ironwork was hand hammered and had matching joinery as well. Some of these elements started off as 1.5" dimension material, and needed to taper over several feet to have the right effect. There were also forged 90 degree corners and a fabricated finial to mathch the cast original.